Women entrepreneurs start their businesses with little experience. After two, five, ten years or more in business, they can look back with hindsight to see how they have grown as entrepreneurs and how that growth has led to more monetary business success. Many of the lessons learned at different milestone moments in business can be valuable lessons for every woman in business. At the quarterly Women TIES Mohawk Valley Event "Becoming a Financially Stronger Businesswoman," Linda Fake, Founder of Uniquely Yours, a ten year old business, will share major business lessons to motivate and assist other women entrepreneurs. Learn how protecting your time and talent, getting the right continuing education, hiring other professional women, having 60 seconds of courage, and increasing rates can lead to more corporate revenue. This is an excellent program for women in any stage of business. Walk away with some secrets of the surviving and thriving in entrepreneurship from the speaker. We'll open the event up for discussion on the subject as well. This is meant to be both an educational and inspirational program. We will once again have sales display tables and sales contact lists for attendees to use. Come prepared to promote and sell business items after a long winter! The event is co-sponsored by the New York Women's Business Center. Learn more about them at www.nywbc.org. They offer free business services to women entrepreneurs across New York State. We are looking for another co-sponsor of this program. Please contact our office at 315-7080-4288 or info@womenties.com for more information on the outstanding marketing benefits a sponsorship offers to a woman owned business. Linda Fake is the Founder of Uniquely Yours, LLC. She attained her LEED (Leadership in Energy & Environmental Design) accreditation so that she could assist her clients in creating sustainable work & home environments. Linda is a member of the Home Builders Association of Mohawk Valley and sits on the board of directors of that organization. 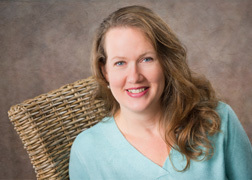 Her status as a Certified Aging In Place Specialist (CAPS) from the National Association of Home Builders allows her to design spaces for her clients that will work for them for a lifetime. Her business specialties include: residential & commercial interior design; space planning, "green" design, barrier-free design, furniture/fixture & finish selection, residential construction coaching, kitchen/bath design, project management, and pre-lease/build space evaluation.